I am not a rockstar. I am not "a photographer who happens to shoot weddings." I work for you, my brides and grooms, to capture every nuance of your wedding: the feeling, the details, the emotion, the expressions. Families, cultures, religions, traditions, large weddings, small weddings: you are all unique and that is what I love about you. Each weekend in the plane or the car on the way to your wedding, all of my thoughts and energy are focused on creating a lifetime of tangible memories for you. Brian began photographing weddings in 2002. Troy joined him in 2003, Lori joined them in 2007, Scott joined the team in 2012 and Michael in 2016. Supported by their assistants Sky and Kristy, and their editor Rooz, they have photographed more than 500 weddings in 25 states and 10 countries. Brian and his associate photographers photograph weddings year-round all over Florida, including: Clearwater, Jacksonville, Key West, Miami, Orlando, Pensacola, St. Augustine, St. Petersburg, Tampa, Vero Beach, West Palm Beach, and Winter Park. See some of Brian, Troy, Lori, and Scott's complete wedding albums here. Brian also photographs weddings March through November in New York and in these New England locations: Boston, Bristol, New Haven, Newport, Ogunquit, Portland, and all over Connecticut, Maine, Massachusetts, and Rhode Island. Brian has recently been lucky enough to photograph weddings and engagement sessions Internationally in Canada, France, Singapore, New Zealand, Thailand, Hong Kong, The Bahamas, and Tunisia. 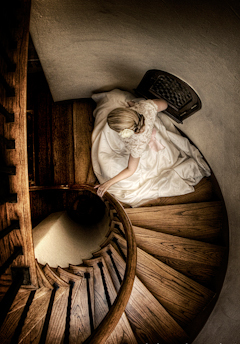 Brian's award-winning image "Kelly's Journey". Brian travels more than 50,000 miles a year and constantly gleans inspiration from the people he meets, art deco and mid-century architecture, design (graphic, industrial, and interior) and cinema. He loves New York and Boston, dogs and cats, beer and wine, and he secretly wants to direct a movie. His work has been featured in The Washington Post, Connecticut Magazine, People Magazine, Professional Photographer, and Town & Country and has also been seen on Oprah, The Dr. Oz Show, Larry King Live, and Good Morning America. The Florida Museum of Photographic Arts presented Brian with two awards for his photography in 2007 and in 2012. In 2009, Brian moved his Winter Park, Florida office to a boutique-style studio in downtown Orlando. In 2010, Brian led the world's first iPhone photo and video team to shoot a complete wedding, which has since received nearly 200,000 hits on YouTube. In 2017, Brian Adams PhotoGraphics is thankful to celebrate 15 great years of wedding photography. Brian Adams PhotoGraphics has . . . But don't just take our word for it. Please check out the raves and reviews from our clients.